ACTERNA has announced the launch of the Acterna DA-3400 data network analyser in Japan. The DA-3400 consists of a test device and client software and is the most complete data analysis tester available in Japan. The solution will allow service providers to decrease operations costs, minimise network downtime, and quickly deliver Ethernet, ATM and VoIP technologies and services. 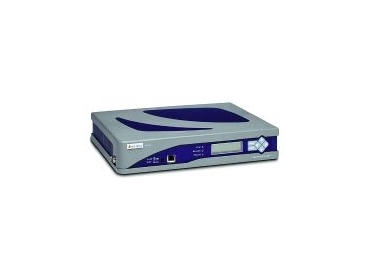 The Acterna DA-3400's advanced features enable network operations personnel to more easily solve complex data network and service problems that occur during service turn-up and troubleshooting, and provides - as needed - network baseline testing. * ATM Analysis. With ATM analysis software, the Acterna DA-3400 examines ATM traffic from 1.5Mbit/s to 622Mbit/s and provides real-time voice-over-ATM (VoATM) and IP analysis. * Ethernet Analysis. Equipped with Ethernet analysis software, the Acterna DA-3400 enables 10/100/1000 Mbit/s Ethernet analysis to identify complex problems caused at the Ethernet, virtual LAN, IP and application layers. * VoIP Analysis. The VoIP analysis software provides detailed information and analysis for real-time protocols (RTP) and real-time control protocols (RTCP) to quickly resolve call quality issues caused by jitter, packet loss and delay that can seriously impact the quality of transmissions. * OSS Integration. The Acterna DA-3400 can be used for network operations centre (NOC)-based troubleshooting when combined with Acterna NetAnalyst test management software.